Try coloring as a bridge to an island of inner quiet and prayer. 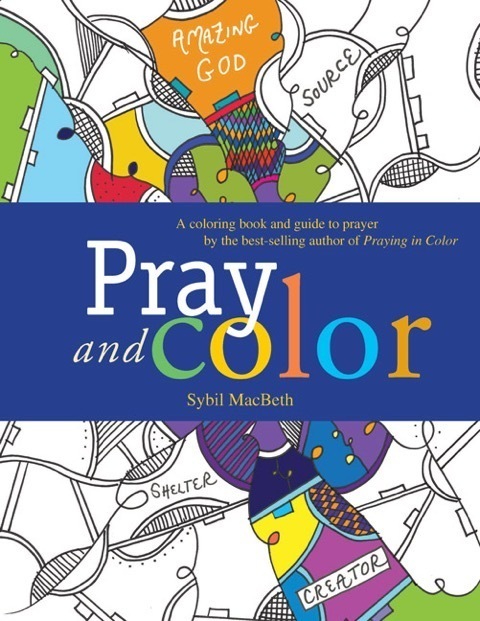 Since 2007, thousands have enjoyed learning a new prayer practice called Praying in Color from Sybil MacBeth. This new coloring book and guide allows anyone to quiet the mind and pray while creating something visual and inspired. Slowing down isn't easy in our culture where stimulation and constant virtual connection are the norm. If you find the transition from busyness to stillness difficult, follow Sybil to a slower, more contemplative pace through coloring as prayer and as spiritual practice. Includes an introduction and guide to fourteen types of prayer, along with 32 pages to color.